‘Home renovations on a budget’ isn’t an oxymoron. It can be done with these 5 tips. When Kelly Whalen demolished her built-in bookshelves as part of a living room DIY, she found it gave the room some much-needed space. Unfortunately, she also found a hidden subfloor made from asbestos(!) tiles. She hadn’t budgeted for a new subfloor — or for the removal of a toxic substance. Yikes. And there were more surprises. “When we pulled up the tiling, we found we also had to pull out two layers of wall paneling just to get to the edges of the room,” says the Exton, Penn., native. The paneling fix led to a need for new insulation and drywall. What started as a small project quickly ballooned — and so did Whalen’s expenses. DIY is cheaper, right? Not necessarily, says Philadelphia-based interior architecture and design expert Glenna Stone. Depending on the project, amateurs beware. “If you don’t have the expertise, you could end up paying between 10% and 40% more,” Stone says. Why? While your DIY labor is technically free, your lack of know-how can be costly. And then there’s hiring and scheduling. A task like moving a wall could mean hiring an engineer and an architect, not to mention coordinating permits. A general contractor knows who’ll do the best work for the best price, and they’ll know when to schedule them to avoid wasting dollars on inefficient use of time. “If the plumber comes out before you’re ready for him, they’ll charge you for that visit, and then to come out again,” says Stone. Finally, a contractor is more likely to get it right the first time. There’s nothing like having to buy stuff twice because you messed up. Stone recommends hiring a general contractor for most medium- to large-scale jobs. Takeaway: Don’t DIY unless you really know what you’re doing. Mistakes cost more than hiring a pro the first time. If you decide to forgo the general contractor route and hire individual workers yourself, it’s best to get at least three quotes for each service performed. Talking to professionals isn’t just about finding the most competitive price. It’s also an opportunity to figure out what services each individual contractor includes within his fee. In fact, the least expensive contractor may be a warning sign for inferior construction quality or subpar building materials. A bid worth reviewing should include a line item for every charge. “‘Everything’ means every detail, from [the] exact kind of sink fixture to brand of roof shingles,” says Dean Bennett, president of Dean Bennett Design and Construction in Castle Rock, Colo. Even the color of the outlets in each room should be included in the bid, he adds. Takeaway: The more detail that’s in the bid, the more likely you’ll come in on budget. So, you’re planning to put up a backsplash. What do you need to put into your budget? The tile and adhesive, right? And that’s about it? Try again. 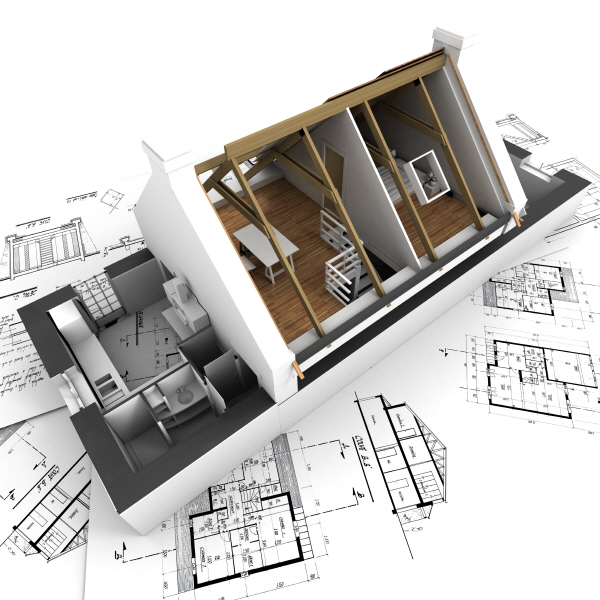 Big project or small, the more detailed your plan, the better prepared you’ll be for both the expected and unexpected costs that can (more like will) arise. When estimating the cost of your project, consider the large expenses, like that tile and adhesive, but also remember the little items like sales tax, delivery charges, shipping charges, the float, caulking, cleaning materials, and more. For bigger projects, you’ll need to estimate engineering costs, interest costs, permit fees, and sewer and water tap fees, says Bennett. The more you can plan to expect, the better. Takeaway: Don’t forget the “small” costs. Like pennies, they might not seem like much at first, but they sure do add up. Before setting a project budget, consider what features are most important to you. When it comes to allocating funds, ancillary desires should take second place to your overall project goals. If, for example, your primary goal is to expand your cabinet space, how vital are custom cabinets or high-end finishes to that goal? “If you’re … OK with using stock sizes, you can save about 20% to 30% on your budget,” says Stone. So if your bottom line is to increase kitchen storage space, stay on budget by sticking with stock cabinets instead of paying more for custom. On the flip side, if your goal is to gain more glam than storage space, custom cabinets may be where you want to splurge. Takeaway: Let your goals drive your budget decisions. “For any large renovation, you have to plan for the unexpected,” says Stone. You could open a wall and find electrical work needs to be done. You could find that your chosen tile is on back order and your second choice comes at a higher cost. Stone suggests building a 10% buffer into the budget. Some experts suggest more — up to 25% for those with older homes. According to Stone, that cash cushion is used more often than not. Credit to Alaina Tweddale is a freelance writer who writes about money, home, and investing. Her work has appeared on Forbes.com, the Huffington Post, and Time.com. When she’s not writing, she’s working with her husband to slowly renovate what seems like every square inch of their home.